Oh hey look another book about a self-destructive struggling author. I’ve never read any James Frey before. I had a copy of Million Little Pieces on my book shelf for many years, though I think it was because someone left it at my house or I picked it up from a free pile somewhere because I saw the Oprah’s Book Club sticker on the cover, obviously. Katerina is that sort of banal, masculine romance novel where the romance is mostly narcissistic. But I was entertained, so there’s that. The most interesting part for me was noticing that past me would not have been able to read this without drinking along with Jay, whereas if present me woke up with a headache it was from all the eye-rolling the night before. This book felt out of time. It felt like what Chuck Palahniuk or Irvine Welsh were writing twenty years ago. Maybe my age is showing. I felt a bit guilty liking this book. Perhaps it was the nostalgia for a more self-destructive time. Regardless, I appreciate the advanced, review copy from Simon & Schuster/Gallery Books. I broke 80 KM in a week for the first time since April without doing an especially long run this week. My knees have been less than happy with the effort of late, which is a huge concern with just a month to go before the Victoria Marathon. So I’m trying to balance workout and rest, and trying and doing a not very good job of self care before and after running. So I bought a TENS/EMS unit to shock my knees and thighs. I don’t know if it’s helping but I like it. I do really need to stretch and use the roller more often. And now this has taken a banal turn towards confessional. 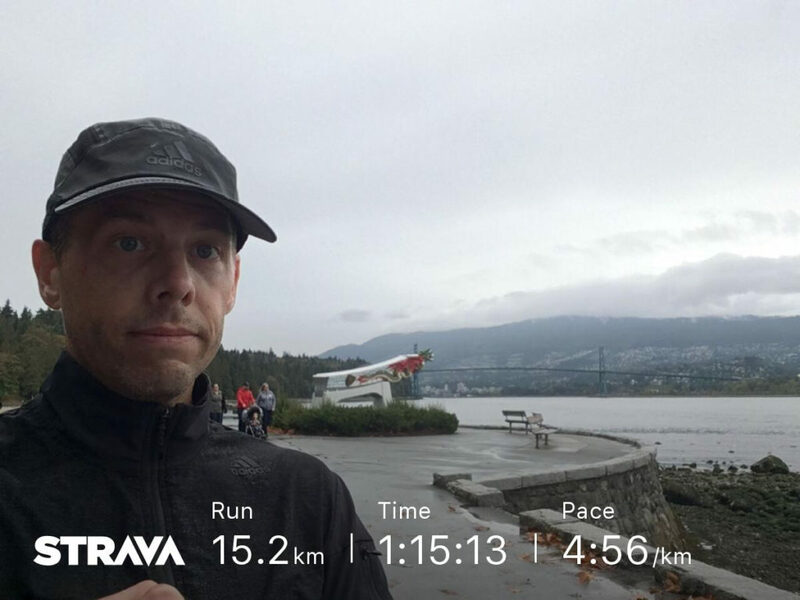 Next week I run the Eastside 10K and I was hoping to sub-40 minutes and I am not terribly confident since my focus has been so dialled on 42.2. Right now I’ll be surprised to run a new personal best, but I’ve said that a couple times already this year and ended up surprising myself. So we’ll see which me shows up at the start/finish line on Saturday.